Edit 1: Shipment date for the Master Bricks is week 3. Edit 2: Master Bricks, Barometer Bricklets and WIFI Extensions are available again. Open orders and subsequent deliveries with these products were packaged today (January 16th) and will be shipped out tomorrow. Sorry for the waiting time! Ooops, although we increased the stock of Master Bricks before Christmas, they are out of stock as of today. The 10% discount together with Christmas and the article on the German news site Golem produced an unexpected rush on our products. Unfortunately our circuit board assembler has a vacation close-down in the first week of the new year. This means that we will only be able to ship out new Master Bricks in mid Januar. We will, if not otherwise requested, ship partial deliveries of all available ordered products. If someone wants to use the last discount day, it is still possible to order Master Bricks and receive the discount. At this point already: Sorry for the long waiting time! 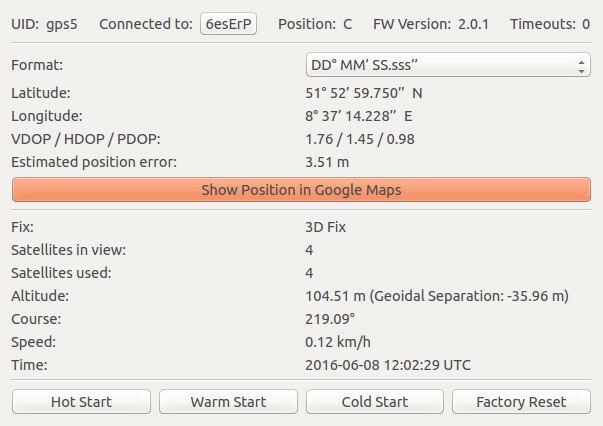 The GPS Bricklet is now available too! 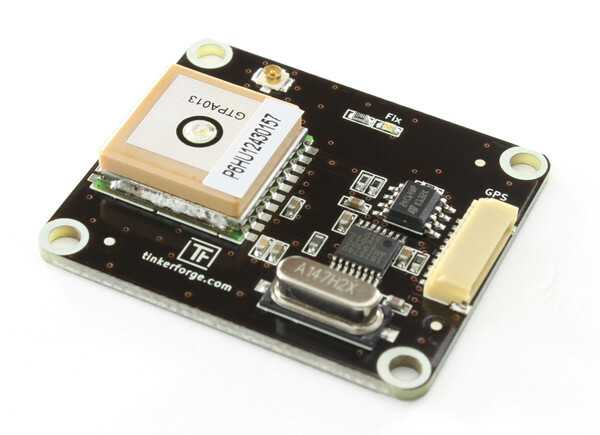 The utilized GPS module has a fast update rate of 10Hz. It is possible to read out movement-, position-, altitude and time data! On the bottom side of the Bricklet is a CR2032 coin cell holder. With the coin cell (one CR2032 coin cell is included with the GPS Bricklet), the GPS Bricklet can hold its position for several years, even if it is not connected to a Brick. This means that a new fix can always be obtained super fast (after the very first initial fix). 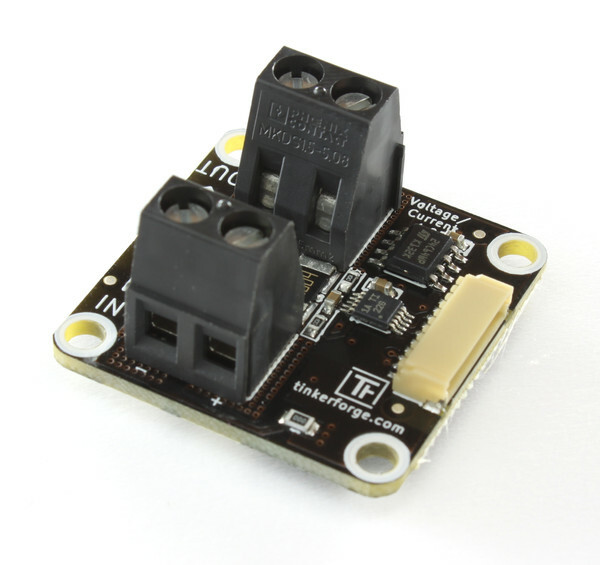 The old Current12 and Current25 Bricklets are out of stock for a while now, we finally have a replacement available: The Voltage/Current Bricklet. The new Voltage/Current Bricklet can measure currents of up to 20A und additionally voltages of up to 36V. Thus it is also possible to determine the power (up to 720W). Beside all of the use cases of the old Current Bricklets, the new Voltage/Current Bricklet can also be used to control a battery charge/discharge circuit. We were able to reach absolutely identical results as compared to a high end multimeter. 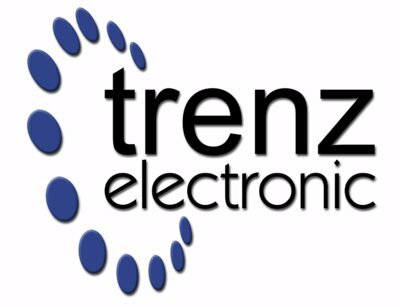 Trenz Electronic is our first reseller! Tinkerforge products are available for about one year now. After the expansion of the product catalogue our next step will be to find resellers to get a bigger market presence. Nearly directly after our start in december 2011 we had regular inquiries regarding reselling our products. At the time we had too much stuff going on at the same time and we couldn’t take proper care of the requests. Also it was often not possible for us to meet the requirements like discount, packaging or handling of returns. With Trenz Electronic GmbH we have attracted our first reseller.Trenz Electronic was founded as a engineering company in 1992 with a focus on FPGA hardware designs. Since 2001 they have their own webshop and sell different FPGA and development boards as well as different electronic parts. 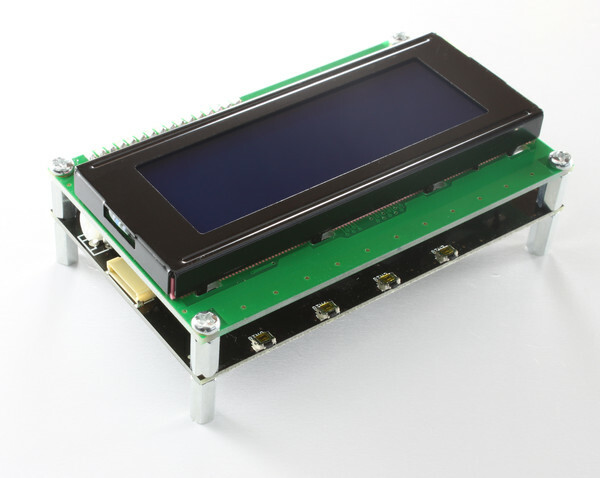 Since they develop their own hardware there is a lot of electronic experience in this company, such that questions can be answered without our help or Tinkerunity. One additional nice aspect is that Trenz Electronic also develops open source electronics, so they know what they are doing. All Tinkerforge products will be available in Trenz Electronic’s webshop at beginning of January 2013. We are looking forward to a good cooperation! 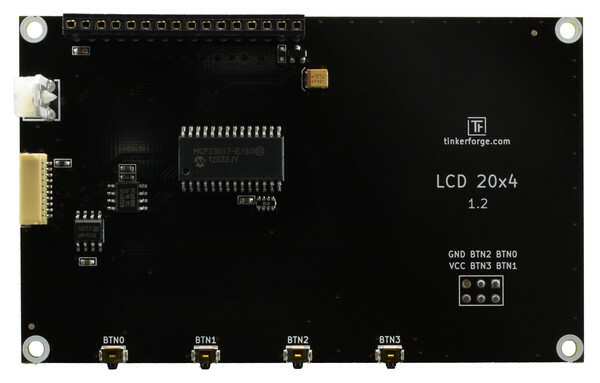 The new hardware version of the LCD20x4 Bricklet is now available. The new version comes with one more button and with solder points that can be used to solder on external buttons.